Rhinoplasty surgery, or nose reshaping surgery in Melbourne, (commonly referred to as a “nose job”) is one of the most common of all plastic surgery procedures and is commonly in the top three of all cosmetic surgeries. This procedure can reduce or increase the size of your nose, change the shape of the tip or the bridge, narrow the span of the nostrils, or change the angle between your nose and your upper lip. It may also correct a birth defect or injury, or help relieve nasal obstruction. If you are considering rhinoplasty surgery this information will give you a basic understanding of the nose reshaping procedure; when it can help, how a nose job is performed and what results you can expect. It can’t answer all of your questions, since a lot depends on the individual patient and the surgeon. Please ask our Melbourne rhinoplasty surgeon, Mr Walsh or his staff about anything you don’t understand. Nose reshaping in Melbourne can enhance your appearance and your self-confidence, but it won’t necessarily change your looks to match your ideal or cause other people to treat you differently. Before you decide to have nose reshaping surgery in Melbourne, think carefully and make sure your expectations regarding your nose job procedure are realistic. The best candidates for nose reshaping are people who are looking for improvement, not perfection, in the way they look. If you’re physically healthy, psychologically stable, and realistic in your expectations, you may be a good candidate. Age may also be a consideration for whether you are a good candidate. Our Melbourne rhinoplasty surgeon Mr Walsh generally does not perform cosmetic rhinoplasty on a person under the age of 18 years unless there are some exceptional circumstances. For younger patients it is important to consider social and emotional adjustment and to make sure that no external pressures are involved. When rhinoplasty is performed by a qualified rhinoplasty surgeon in Melbourne, complications are infrequent. Nevertheless, there is always a possibility of complications, including infection, nosebleed, scarring or a reaction to the anaesthetic. You can reduce your risks by closely following Mr Walsh’s instructions both before and after nose reshaping surgery. Worldwide it is reported that in approximately one case out of ten, a second nose job may be required – for example; to correct a minor deformity. Such cases are unpredictable and happen under the care of any surgeon. Good communication between you and your rhinoplasty surgeon about your nose job and your expectations is essential. 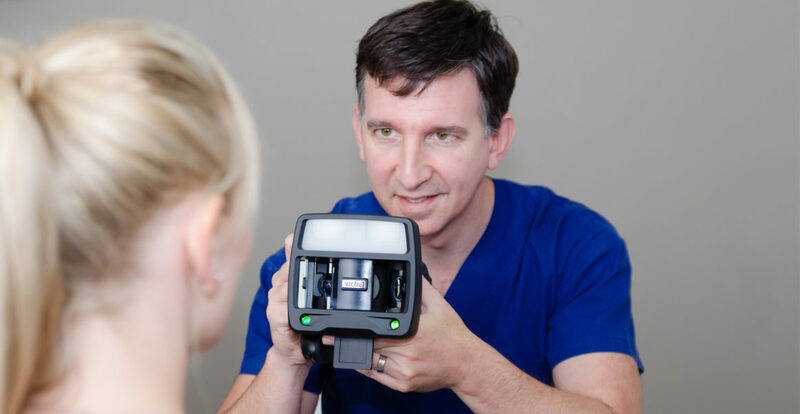 In your consultation with you rhinoplasty surgeon Mr Walsh, he will ask what you’d like your nose to look like, evaluate the structure of your nose and face, and discuss the possibilities with you. He will explain the factors that can influence the nose job and the results. These factors include the structure of your nasal bones and cartilage, the shape of your face, the thickness of your skin, your age, and your expectations. Mr Walsh will also explain the techniques used during a nose reshaping surgery and anaesthesia that will be used during your nose job, the options of where the surgery will be performed, the risks and rhinoplasty cost involved in Melbourne, and all options you may have. In regards to rhinoplasty cost, most insurance policies don’t cover purely cosmetic surgery, however the nose job cost may be covered or partially covered. You should check with your insurer and obtain pre-authorisation for your nose reshaping procedure. Don’t hesitate to ask any questions you may have, especially those regarding your expectations and concerns about the results of your nose job. The cost of these procedures varies, ensure to be clear on your rhinoplasty cost by obtaining a quote for surgery after your consultation. Mr Walsh and his St Kilda staff will give you specific instructions on how to prepare for your nose job surgery, including guidelines on lifestyle and medication issues. Carefully following these instructions from your Melbourne rhinoplasty surgeon will help your nose reshaping to go more smoothly. While you’re making preparations, be sure to arrange for someone to drive you home after your nose job. Mr Walsh accepts clients from across Melbourne and operates out of Linacre, Holmesglen, Cabrini (Malvern only) and Masada Private Hospitals. The surgery usually requires an overnight stay in hospital. Pre-surgery consultations for rhinoplasty are at our St Kilda rooms. Although the rhinoplasty is not performed in our St Kilda clinic, whether you are a St Kilda local or not, you can come to us for a consultation and arrange rhinoplasty elsewhere in a private hospital in Melbourne. Rhinoplasty is usually performed under general anaesthesia. Rhinoplasty usually takes an hour or two, though more complicated nose jobs may take longer. During surgery the skin of the nose is separated from its supporting framework of bone and cartilage which is then modified to the desired shape. The nature of this will depend on your case. There are many nose reshaping techniques and each surgery has to be tailored to the individual patient. Broadly speaking, there are two approaches, namely “open” and “closed”. When performed from inside the nose (closed), there is no visible scarring at all. With the “open” technique, or when the procedure calls for narrowing of flared nostrils, the small scars on the base of the nose are usually very hard to see. When the surgery is complete, a temporary splint will be applied to help your nose maintain its new shape. After surgery, particularly during the first twenty-four hours, your face will feel puffy, your nose may ache, and you may have a dull headache. You can control any discomfort with the pain medication prescribed by your Melbourne rhinoplasty surgeon Mr Walsh. Plan on staying in bed with your head elevated for the first day whenever you can. You’ll notice that the swelling and bruising around your eyes will increase at first, reaching a peak after two or three days. Applying cold compresses will reduce this swelling and make you feel a bit better. In any case, you’ll feel a lot better than you look. In terms of pain, rhinoplasty is not an extremely painful procedure. Most of the swelling and bruising should disappear within two weeks or so. Some subtle swelling (unnoticeable to anyone but you and your surgeon) will remain for several months. A little bleeding is common during the first few days following reshaping surgery and you may continue to feel some stuffiness for several weeks. Your rhinoplasty surgeon will probably ask you not to blow your nose for a week or so while the tissues heal. After one week, the external splints, tapes and any sutures are removed from the nose at the first post-operative consultation. There is still quite a lot of swelling at this stage. Most rhinoplasty patients are up and about within two days, and able to return to school or sedentary work a week or so following nose reshaping surgery. It will be several weeks, however, before you’re entirely up to speed. Mr Walsh will give you more specific guidelines for resuming your normal activities during your consultation in our St Kilda rooms. It is recommended to avoid strenuous activity for two to three weeks. Be gentle when washing your face and hair or using cosmetics. Any sport or activity where the nose may be subject to accidental trauma should be avoided for 6 weeks. Prescription eyeglasses can usually be worn after 2 weeks post-op. Further review in our St Kilda clinic will be arranged at 6 weeks and 12 months post-operatively with photography to track the healing and cosmetic outcome. If you have unusual symptoms between visits to our St Kilda clinic, or any questions about what you can and can’t do, do not hesitate to call the clinic. Following you surgery your face may be swollen and bruised. Within a week or two most of the bruising should have subsided and a lot of the swelling reduced. Depending of the individual, some swelling may be apparent for months after, but your final results of the rhinoplasty will be totally evident in approximately 12 months. Any surgical (or ‘invasive’) procedure carries risks. Before proceeding, you should seek a second opinion from an appropriately qualified health practitioner.